Simpsons and their prevision of the future. The cartoon The Simpsons its an north-American cartoon that enchanted many children, despite be an adult cartoon. Known world wide , its first run was in April 19 of 1987, and since then is a success where it is transmitted. The cartoon shows an American family and all their adventures are based in reality. What we couldn’t imagine is that, watching the old episodes, we would find many histories that foreseen the future that still had not happened. See 5 times that the cartoon saw the future. 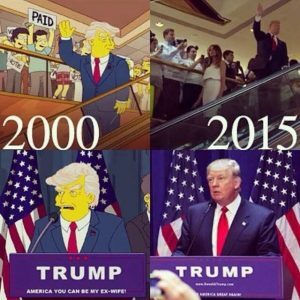 In 2000 there was an episode ,“Bart in future”, that showed Trump’s victory in the American presidency, by the way the picture used in the cartoon looks like with the real picture taken in 2015. 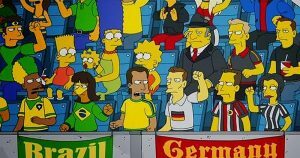 In World Cup, The Simpsons clearly highlight the game Brazil x Germany, in which Brazil loses, just like in the movies. 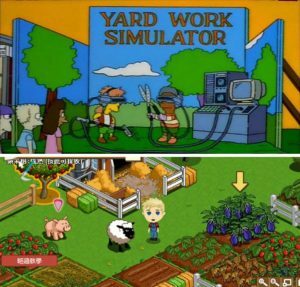 If you already had Orkut and have Facebook you know that the virtual farm is viral as Farm Ville. 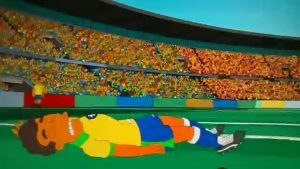 The lesion of the player showed an almost perfect scene of what happened in the cartoon in 2003. The disease Ebola, that appeared many years later, but Marge in the cartoon gets sick in 1997. Lets stick with the cartoons, who knows this way we can know what can happens in a few years.